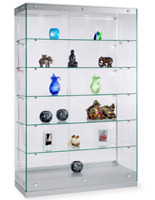 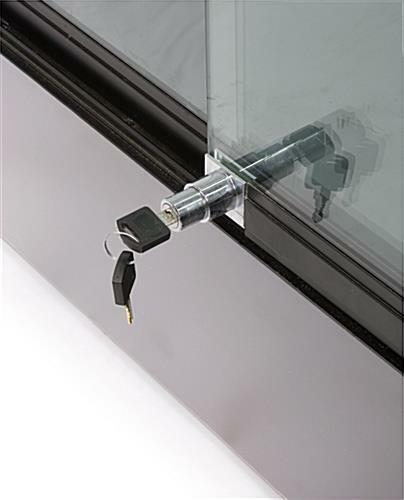 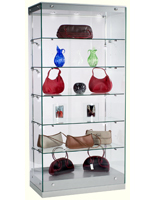 These glass showcases with 5 shelves that are adjustable allow boutique and museum owners to update the contents - a shelf can even be removed to make room for larger items. 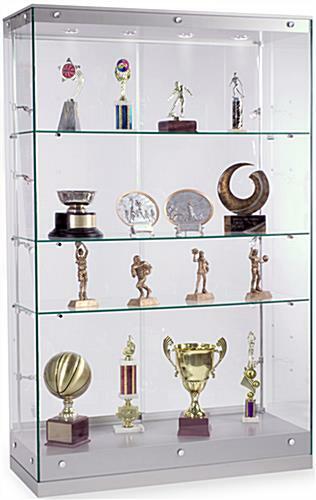 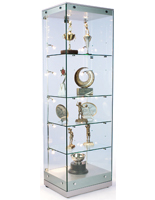 This curio cabinet is great for trophies, museum artifacts, and upscale store merchandise. 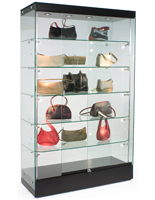 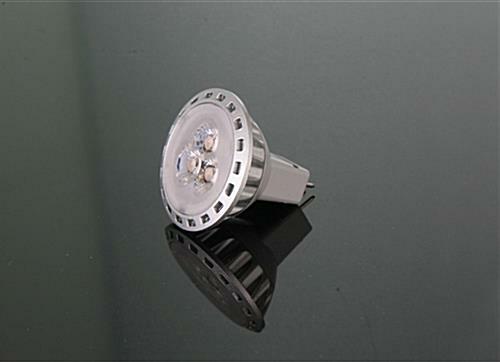 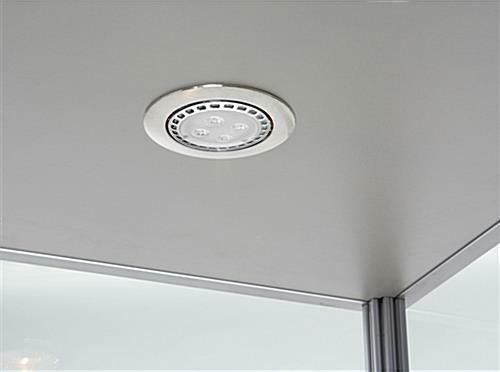 The frameless design puts all the focus on storage contents; lighting is both energy efficient and ensures the viewer won't miss any of the items being displayed. 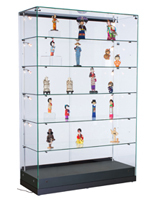 These showcases with 5 shelves have sliding doors that lock, keeping expensive merchandise and valuable art work safe from theft or damage. 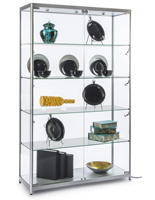 Store furniture like this modern showcase is great for hotels, schools, upscale shops and showrooms, museums and art galleries. 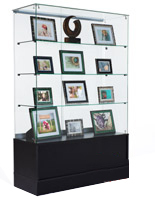 Buy these frameless showcases with 5 shelves to elevate the style of any showroom or gallery space, while showing off museum or gallery items in the best light possible! 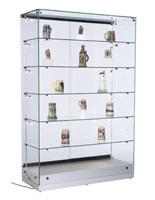 48.0" x 76.0" x 19.0"